Then it striked me ohh yes !! , In late August this year Facebook has changed their Platform Policy in which they cleared that ” Like Gate service are going to be banned”. 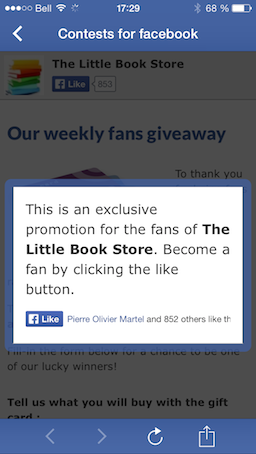 Effective from November 5th 2014, that simply means you may no longer incentivize people to like your app’s Page. May be I am wrong but this all started when Game Developers and E commerce Mobile Apps started promoting Coupons and Free discounts by “only” liking company page on Facebook! Even I have seen lots of Mobile Apps Create a Like gate pop ups for example Angry birds, Temple Run, Angry Granny which gives you some powers on liking their page on Facebook. As Jim Belosic said “Action Gating” was placed in each and every apps on mobile ! obviously it is going affect the Facebook for Business ! 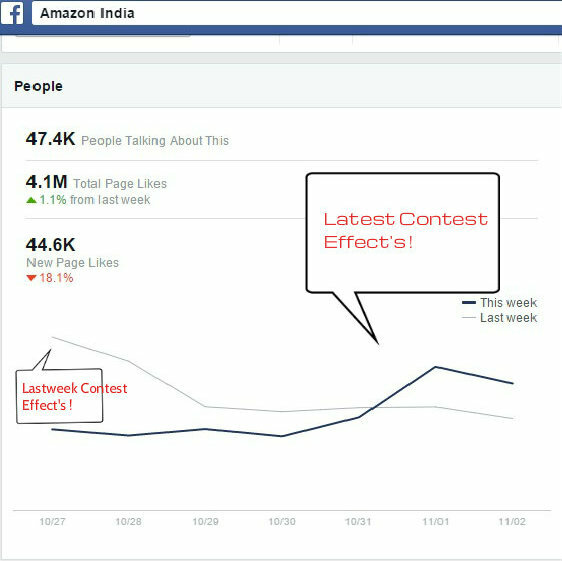 No one wants to boost their posts and interact with targeted customer but they are forcing to like the Facebook fan pages. Examples of Facebook Like Gate or Action Gate ! So, now on-wards keep yourself ready for Contests, “Dinner invitation with celebs by just liking a Facebook Page ! !” kinda things on your wall ! Obviously being mobile marketing company you will also think for an alternative to this. Our small case study on Amazon’s latest campaign’s. Amazon’s latest campaign overview ! 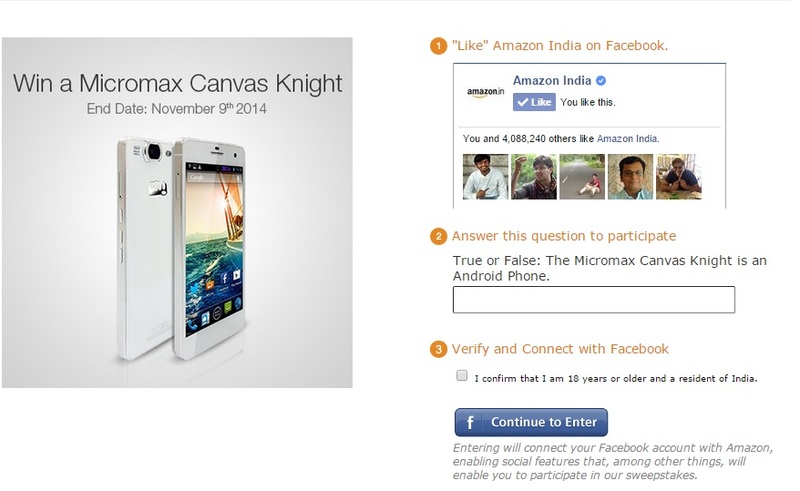 Amzon on 29th oct relased a contest about Micromax Canvas Knight. With in three days the likes gradually increases up to pick, As you can see the targeted age group is from 18 – 24 years old, the people who knows about product and love to bye it. 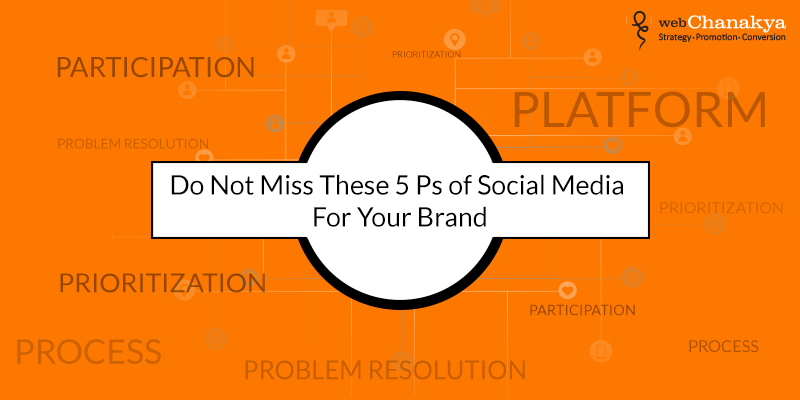 Being Social Media Marketing Company we know that if you will run a campaign over Facebook it cost you around 25 k for 30 k likes per week if and only if you have perfectly optimized and managed your Facebook campaign. 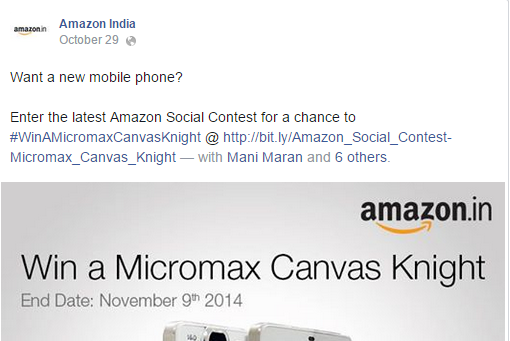 So running a contest and getting such huge response with only spending around 10 k or less is an good idea ! Best Practices for Businesses for Facebook Like’s Gate Ban ! 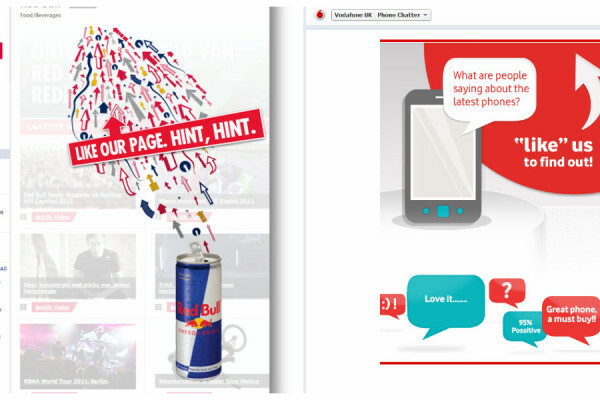 Deactivate the Like Gate Campaigns from your mobile apps ! Make Your gates more Interactive ! Don’t Force them, Invite them ask for Likes ! Make Content’s more sharable and Ask them to invite others to like your page. Even Facebook recognizes that there is information much more valuable than likes, try connect with followers, talk them, mention them ( that will increase your reach !) 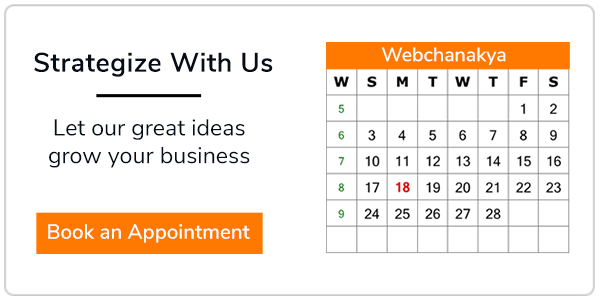 start conversing, engaging with your fans and followers ! I like to know what is cover on this. one of the best Feedback I liked ! Probably he is Right ! Readers: What do you think about this change? 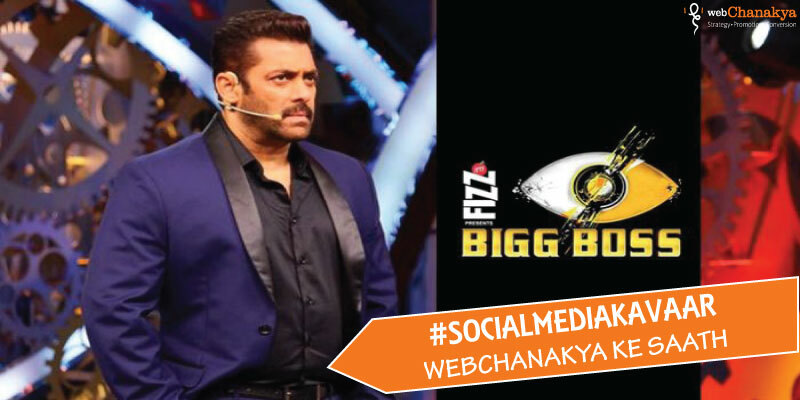 feel free to tweet us @webchanakya.